👉 Quick tip: tell remotes on computers to use earbuds. It cuts down on echo. 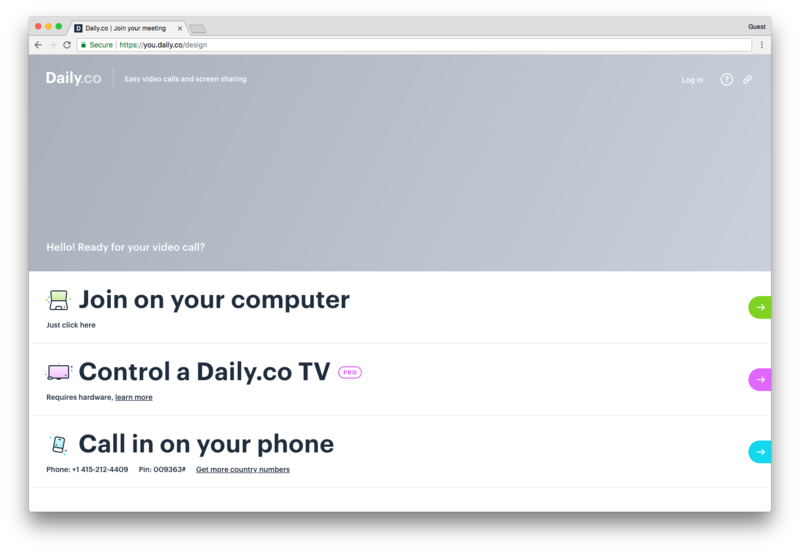 👋 Daily.co TV is easy. You can walk up to a TV, and start calls in seconds. The basic idea is you click a link — that's it. Standard systems & the 'standby screen.' If your system isn't always-on, your TV shows the standby screen. It means the TV is ready to go. The standby screen shows a bridge image (see above). You can replace the bridge image with your own logo or artwork. In the lower right corner of the TV, you'll see the TV screen code. It's 6-letters. Use it to turn your computer or phone into the remote control, for the Daily.co TV system. Many customers want to test joining a meeting. The first step is to get a meeting link. Now just share your meeting link, to invite others. Clicks the link to join. 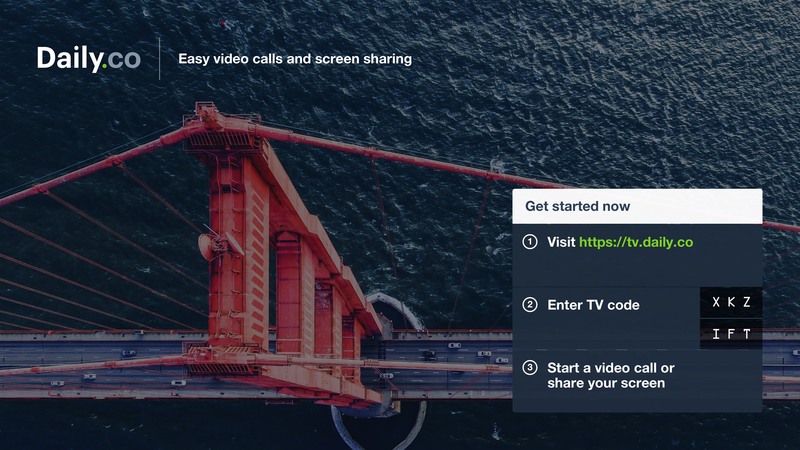 On the join page, you choose how you're joining: on a Daily.co TV, or if you're remote on a computer or phone. Tell remote guests to use earbuds. This cuts down on echo. Tell remote guests with poor Wifi to mute their cam. This preserves bandwidth for audio. Make sure your TV is connected via Ethernet. The TV hardware is different from computers. Chrome is like any other piece of software. It's better after a refresh. If your remotes are having problems, reload Chrome. As much as we hate to say it, some people have to fully quit and restart Chrome. Your browser simply gets tired after a while, and needs a reboot. TV problems? Unplug the power. Wait 5 seconds. Plug it back in. That solves 99% of the problems. Check you're on the right HDMI! Up to 50 people can join a meeting link. But we strongly recommend 5 or fewer have their cams on at any point. If more than 5 are in the call, tell remote guests to mute their cams. We're here to help! Chat, 9-5 Pacific Time (San Francisco), or email help@daily.co. We're always glad to do an onboarding call, too.